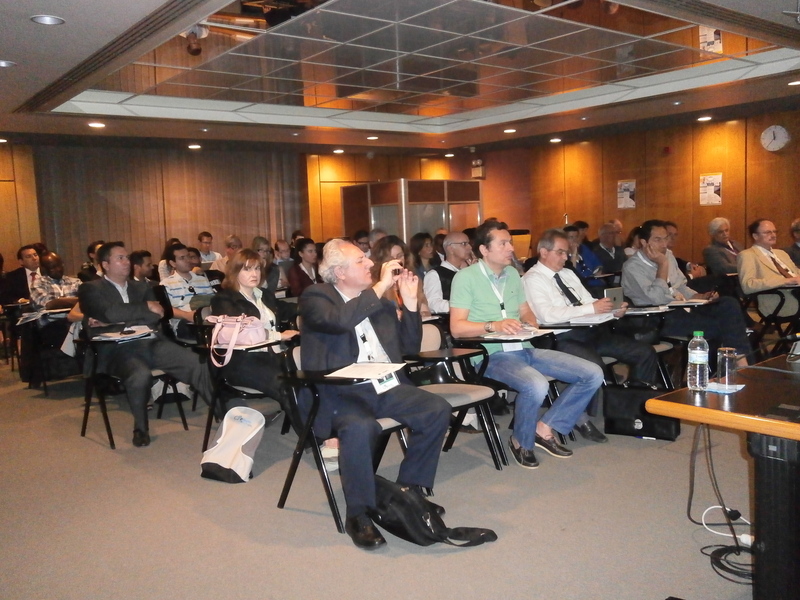 The three-day eHealth Forum 2014 drew to a close last Wednesday 14 May 2014 in Athens with great success for the USEFIL project! The wider conference gained exposure in the local, national and international media with more than 1,270 participants from 38 countries and 150 speakers from around the world who discussed developments in the eHealth domain. 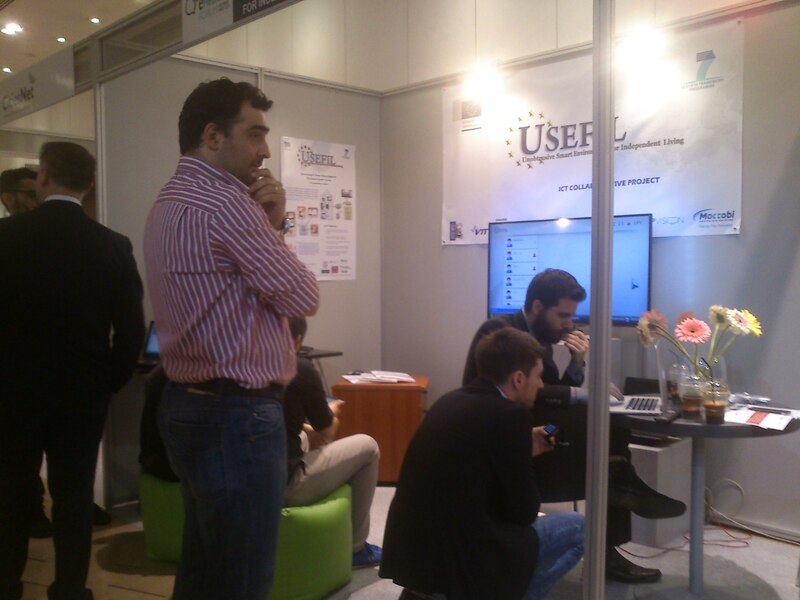 Amongst seventy exhibitor booths, from Europe and the U.S., the USEFIL project also participated with a booth that grabbed attention amongst delegates with its innovative and original prototypes. 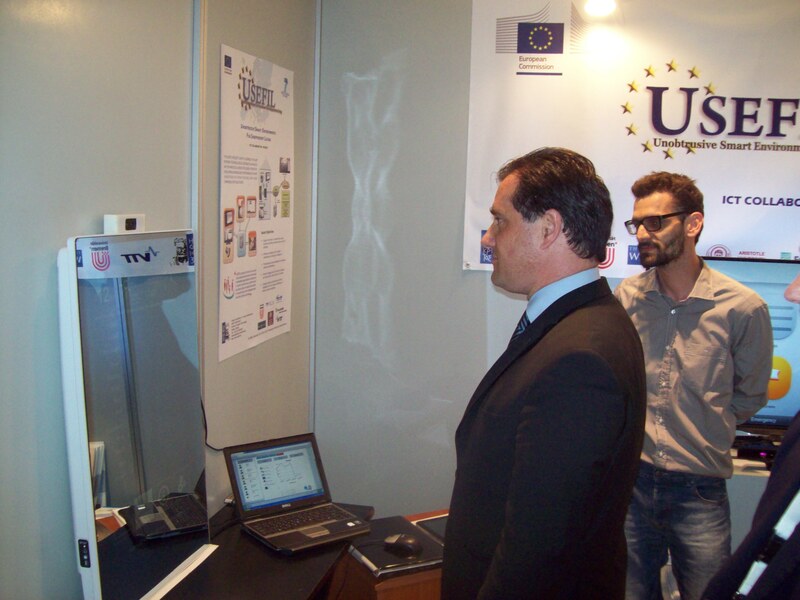 Topping the list of interested delegates were many European Commission officers who were attracted to test the prototypes, amongst them Mr. Peter Wintlev-Jensen, Deputy Head of Unit, DG Communications Networks & Technologies at European Commission, and especially the interactive mirror prototype which was tested by the Greek Minister of Health, Mr. Adonis Georgiadis, who was very enthusiastic after experiencing himself the functionality of the system. 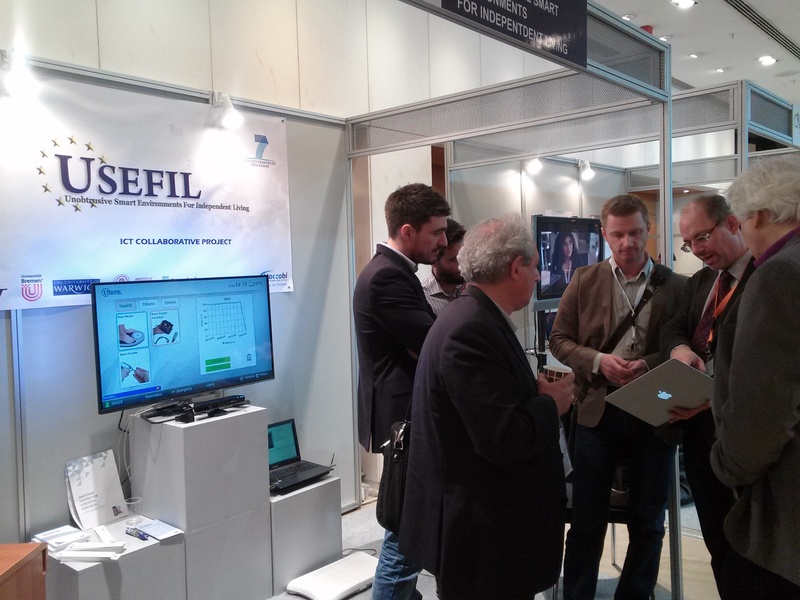 Furthermore many relevant stakeholders (municipalities, health providers, hospitals, to mention but a few, visited the USEFIL booth exploring the possibility of cooperation. 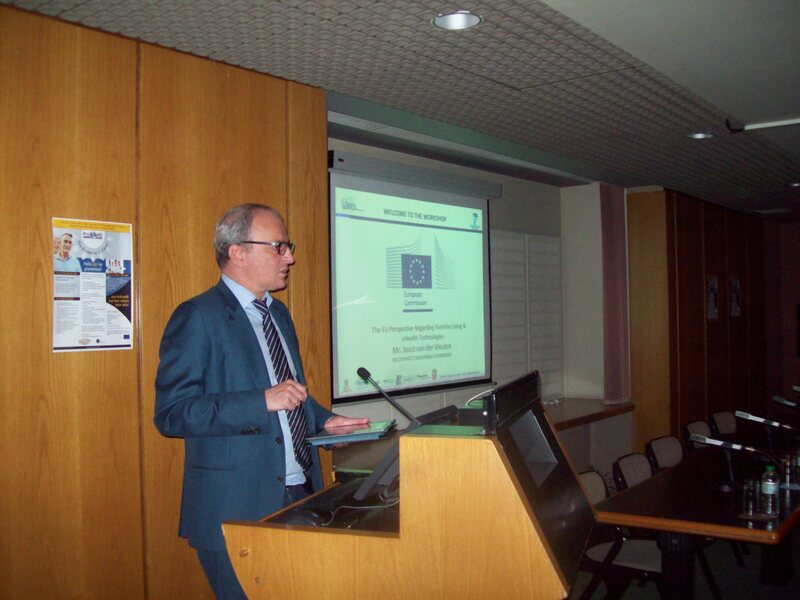 On Tuesday, May 13th a full day workshop was organised by the USEFIL project (in coordination with the ProFouND and E-NOFALLS projects). Mr. Joost van der Vleuten from DG CONNECT, European Commission opened the workshop and discussed the EU perspective regarding assistive living and eHealth technologies. The floor was then taken up by Dr. Nick Guldemond from the University Medical Centre Utrecht who gave the EIP-AHA view on state of the art technologies for assistive living. 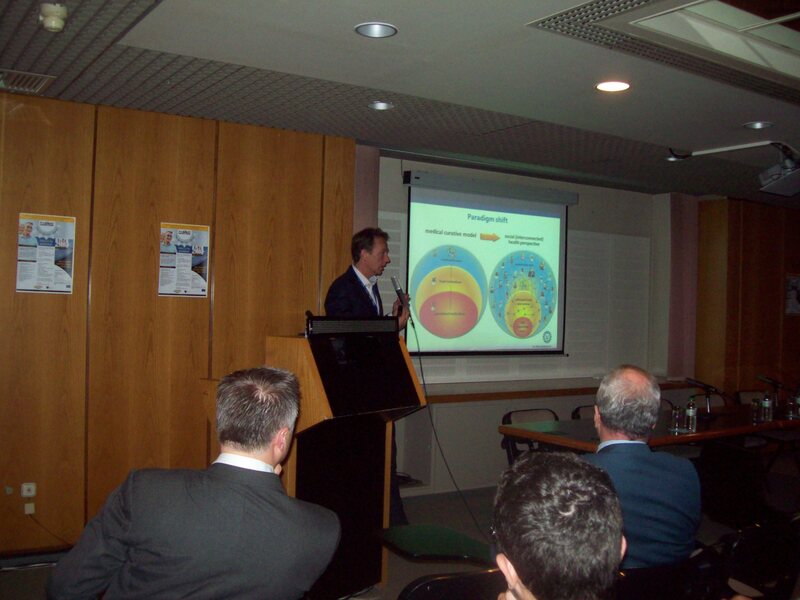 The event was attended by more than 90 delegates resulting in an impressively full room with many interesting speakers ranging from scientists to stakeholders from all over Europe who presented project approaches and findings. In addition, a live interview took place on Wednesday, May 14th at the conference’s official radio station where Mr. Detlef Ruschin, Fraunhofer Heinrich Hertz Institute, from Germany and Dr. Homer Papadopoulos, NCSR Demokritos from Greece responded to questions posed by the journalists. The relevant podcast will soon be made available online. 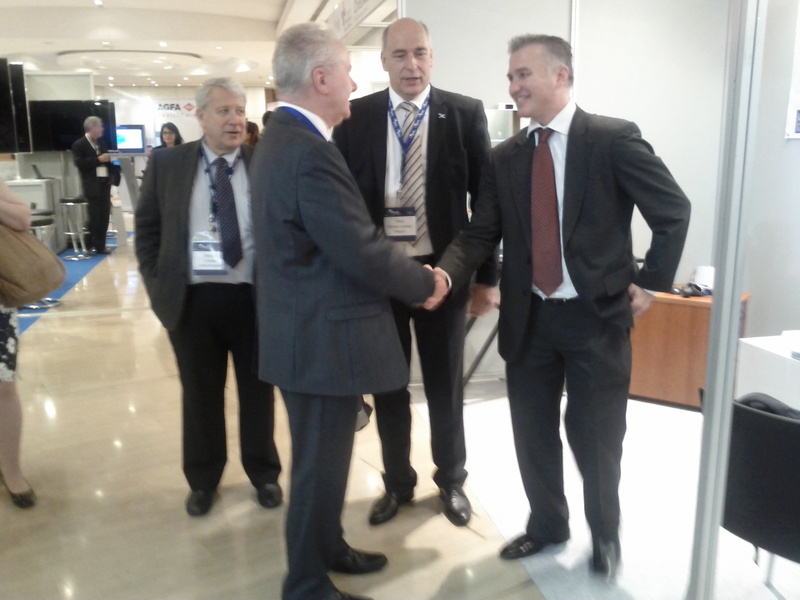 Watch this space for more updates and pictures from this year's eHealth Forum 2014!